The origin of our universe is a vexing problem for the atheist. The very state of the observable universe today presents serious problems for them, as it demands a Creator. Why did the universe begin in such an organised state, where laws are finely tuned for life to exist, and where irreversible processes occur producing the forward­­ march of time? In thinking on the nature of the universe and our existence within it, the Greeks developed the philosophies of rationalism1 and empiricism2, two different approaches they believed could determine truth from the world. The former involved deduction,3 and the latter, induction.4 No reference to a Creator God was considered relevant. The modern cosmologist, one who attempts to explain the origin of a rational universe, with laws derived from observation, is one who believes he can, by inductive reasoning alone, discover its origin without the Creator. The atheists say the rational mind concludes that there is no God, therefore the universe is the outcome of pure materialism.5 Then how do we explain how the universe came to be? How do we, by induction alone, explain the origin of the laws of physics? And how do we test if our explanations are correct? These are fundamental epistemological6 questions that need to be answered. No induction or deduction, just revelation alone. If you look carefully at the development of science you will see that the underlying assumption that there are universal unchanging laws of nature has been the result of Judeo-Christian thinking. This allowed for the development of modern science and its methodology (including the ‘Scientific Method’)—involving the notion that an experiment can be repeated and the results will be the same if the conditions are identical, regardless of when or where. The modern rational scientist uses this basis in his approach to science but denies its origin. He starts with unchanging laws as his primary assumption. They call these the laws of nature as if they have arisen by themselves. Everything else is an outworking of those laws on the evolving state of the universe. According to the physicist Lee Smolin7 the understanding of their immutability has its origins in the atomistic thinking of some of the ancient Greek philosophers. But not all Greeks thought that way. Yet he sees the immutability of these laws, and their application to what we observe, via the Scientific Method, as a problem. Smolin’s question 1: “How did nature choose the specific laws which control the universe, as deduced from observation?” The Standard Model of particle physics is the most successful theory ever developed by mankind, yet the model’s parameters are extremely fine-tuned. These fine-tunings in fundamental constants, etc., permit the very existence of life in this universe. But why should that be so? In other words, he objects to the inference of Design. His question 2: “How did the universe start off with an initial state in such a high degree of homogeneity?” This is the initial condition required for the big bang to produce the currently observable universe. Its growth out of the alleged singularity was so finely balanced that immediately after the big bang it produced very few black holes and relatively little radiation. If it had produced many black holes, then it would have collapsed back into the singularity. Smolin says these “extraordinary initial conditions are a given.” They simply cannot be arrived at by the Scientific Method. They are some of the a priori assumptions one must make. In physics we describe processes that exhibit the arrow of time. For example, in isolated systems entropy always increases. This means such a system runs down in usable energy and becomes more randomized. That process is described by the thermodynamic arrow of time. Then there is the electromagnetic arrow of time: information carried by light comes to us from the past and not the future. The biological arrow says we age rather than grow young and the informational arrow describes the fact that we remember the past and not the future. We naturally accept these as part of our normal experience, but for physicists it is not obvious why these arrows should be so. Why is that? The conventional explanation, first proposed by well-known physicist Ludwig Boltzmann (1844–1906), is the ‘past hypothesis’. That hypothesis postulates that the universe began in a highly improbable low-entropy state. It started that way, far from equilibrium. But the simplest answer is the Creator. The Creator God is the eternally existent One, the great I AM, YHWH who is also the Creator God of Israel. He created the universe in such a low entropy condition that it would naturally proceed with irreversible processes, like life itself. The Creator imposed His Intelligent Design on biomolecules when He created life. But what is his solution? He proposes cosmological natural selection,11 which operates in a higher-dimensional space, where baby universes are born, and a process, akin to natural selection and Darwinian evolution, operates to achieve a survival of the fittest among universes. Figure 2: Independent baby universes. 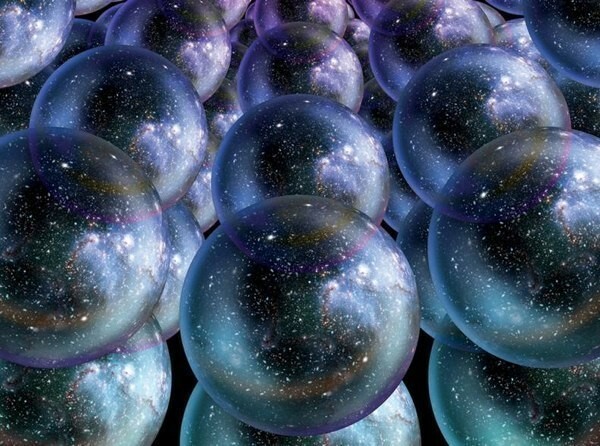 His proposal is that there exists an infinite number of “causally disconnected universes—the multiverse.”12 That means his universes in no way communicate with each other. They act as independent universes in some higher-dimensional multiverse. He developed his idea from what he believes to be true in biology. Biology is defined by the presence of self-reproducing organisms, which means he has to postulate a form of cosmic self-reproduction. Smolin takes the observable reality of black holes, and makes the reasonable assumption that they are the remains of supernova explosions of massive stars. However, he then makes a most speculative assumption that when a black hole ‘evaporates’ it spawns a baby universe with slightly different fundamental parameters containing more or fewer black holes than its parent did. The evaporation of the black holes relies on the singularities being removed by quantum defects leaving behind an expanding spacetime.13 The process also applies to cosmological singularities, which describe the initial baby universes. The black holes formed from stars that became supernovae. The slightly different fundamental parameters in his envisaged ‘offspring’ modify the probabilities of these black holes forming in the universes produced. The more universes formed with parameters that are those of the Standard Model the more universes are produced with lots of black holes, which leads to lots of baby universes. Each universe produces as many baby universes as the number of black holes it contained. Thus supposedly this proposed cosmological natural selection would increase the probability of black-hole generating parameters. Then Smolin asserts that the more black holes a universe has, the more the fundamental parameters, like those in the Standard Model of particle physics, are compatible with the complex chemistry (i.e. life) we observe in our universe. However, it is likely that a stronger gravitational constant would be very good for forming black holes, but very bad at enabling supernovae to form elements with atomic weights greater than helium, as per the current evolutionary idea of stellar nucleosynthesis. One problem pointed out by Polkinghorne14 is that, because universes with more black holes live longer than those with fewer, one cannot consistently impose the multiverse concept of extremely deep time required to make the evolutionary dynamics work, since short-lived universes with few descendants would then dominate over long-lived universes with many descendants. Nonetheless, Smolin believes that his proposal is a falsifiable prediction that can test for the origin of the laws of physics of this universe. His cosmological natural selection operates in the multiverse, and explains, with only one prior assumption (see below), why we live in this particular universe. The process of cosmological natural selection favoured this universe over many others where the laws of physics were different and black holes could not form, and thus allegedly did not allow life to evolve. He uses the expression “chosen by nature” when discussing how one solution of string theory, which represents the laws we observe in this universe, was chosen. Where did he get this idea from, you might ask? So he copied the formal structure of population biology whereby genes evolve on a fitness landscape. In his case though, different vacuum solutions of string theory populate a “‘theory fitness landscape’” and the parameters of the Standard Model of particle physics in the different universes evolve, as do genes in biology. He implicitly believes that an increase of complex coded information has been established in biology, because he believes that life evolved. And that information, he postulates, is analogous to the fine-tuned parameters of the laws of particle physics he envisages in his baby universes. He implicitly assumes Darwinian evolution with mutations acted on by natural selection to add new complex information. But it has been shown that, as far as actual observations are concerned, this is not actually the case. One has to assume an evolutionary history of life to accept such a statement. 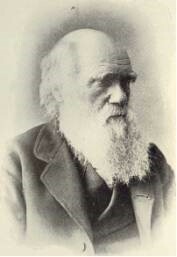 Figure 3: Charles Darwin developed the idea of the general theory of evolution, which Smolin has copied by analogy. The more offspring a parent universe has, the ‘fitter’ the universe. He only had to add “… the notion that due to some unknown microscopic dynamics, whenever a new universe is created, the standard-model parameters change by small random increments”.16 It is not clear, if fundamental parameters really were variable, then why should we expect them to be similar to those of the parent universe? At least we know why DNA copies very accurately in living creatures—that is real science, unlike the speculation about cosmogonic self-replication. There you have it. Random mutations acted upon by natural selection. In this case, in the universes of the multiverse. He says it follows then that the big bang was not the beginning of time, and hence the improbable initial conditions of the big bang were a consequence of the previous era of the universe. (Or rather, the multiverse parent from which it evolved. ‘Universe’ is strictly defined, everything that exists, but no longer in this concept.) So all of his three big questions are explained this way. He admits that his theory may not describe what actually took place, but he believes his model is scientific in that he thinks it is falsifiable. This means he fails to really understand the problem of cosmology and cosmogony17 and its relation to experimental science. Cosmology is more akin to evolutionary biology or geology… in which researchers must simply accept some facts as given. It is like the lady who defended the concept of the earth being supported on the back of a giant turtle in space. Smolin’s universe may not be ‘turtles all the way down’, but it assumes some type of laws ‘all the way down’. So if you hang your theology on quantum cosmology (and/or the Wheeler-DeWitt equation) for the creation of the universe, you would be sorely wrong as it is deficient and assumes time to exist, among other problems. בְּרֵאשִׁית (Bereshit, In the beginning…) the first Words of God brought forth time. Everything else He created and formed followed that. Don’t be blinded by big bang blackness coming from the modern god of scientism that is enveloping science today. This blackness or darkness is the lack of light of God’s truth, the result of the rejection of the Creator, who created this universe fully formed and functional, with life in it, within six earth-rotation days. What we observe about the universe today is thoroughly consistent with this revealed truth, that He provided all the necessary useful energy, complexity, design, and information, which we now see running down and wearing out (Hebrews 1:10–12, quoting Psalm 102:25–26). The view that reason is the primary source of knowledge. The view that sensory experience is the primary source of knowledge. A type of reasoning in which one starts with specific premises or statements to reach a logically certain conclusion (provided the premises are true); also known as ‘top-down’ logic. This enables one, for instance to start with the general statements of natural law and draw conclusions from them which are certain. A type of reasoning in which, broadly speaking, particular instances are used to give rise to general principles, such as deriving natural laws from experimental observations. Also known as ‘bottom-up’ logic, the conclusions of inductive reasoning may be highly probable but do not have the certainty ascribed to deduction (e.g. one can observe many particular examples of black crows, but concluding from this that ‘all crows are black’ only requires observing one white crow to disprove it.) Note that in mathematics, induction means something else, and actually uses deductive logic. Materialism is the belief that all that exists is matter and that the universe is derived solely from that matter. Epistemology = the philosophical theory of knowledge, involving e.g. ‘how do we know that we know?’. 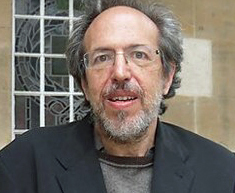 Lee Smolin, theoretical physicist and faculty member of the Perimeter Institute for Theoretical Physics in Waterloo, Ontario, Canada. Smolin, L., Time, laws, and the future of cosmology, Physics Today, 67(3): 38 –43, March 2014. “Cosmology is not even astrophysics: all the principal assumptions in this field are unverified (or unverifiable) in the laboratory … Hence the promise of using the Universe as a laboratory from which new incorruptible physical laws may be established without the support of laboratory experiments is preposterous … .” Richard Lieu, LCDM cosmology: how much suppression of credible evidence, and does the model really lead its competitors, using all evidence? 17 May 2007; available at http://arxiv.org/pdf/0705.2462v1.pdf. Smolin, Ref 8., p. 40. Smolin, Ref. 8., p. 40. It is indeed believed that black holes are not forever, because they likely emit ‘Hawking radiation’, although the estimated lifespan for a (small) solar-mass black hole would be 2 × 1067 years, humongously longer than the big-bang age of 13.8 billion years. But this evaporation should simply lead to energy, not another universe. John Polkinghorne and Nicholas Beale Questions of Truth. Westminster John Knox: 106-111, 2009. Smolin, Ref. 8., p. 41. Smolin, Ref. 8., p. 41 (emphasis added). Cosmogony is the study of the origin of the universe. Cosmology is the study of its structure but that necessarily involves its history also. Cho, A., A singular conundrum: How odd is our universe?, Science 317:1848–1850, 28 Sept 2007. Smolin, Ref. 8., p. 42.